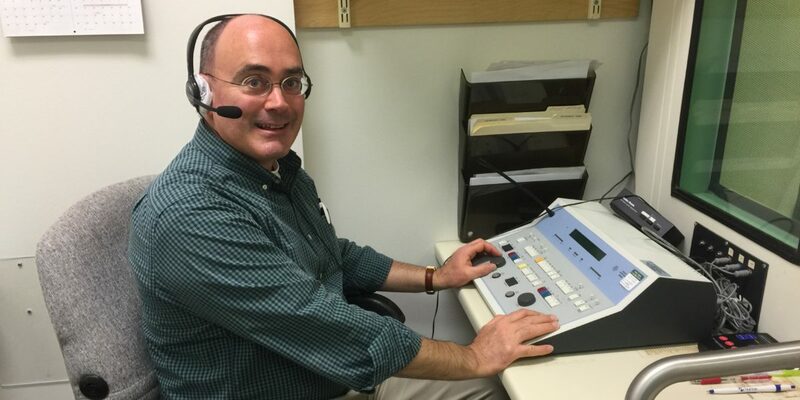 Rich Bothfeld, Au.D., CCC-A, F-AAA has joined Pine Tree Society’s Audiology Department as a Clinical Audiologist. He joins Robin Galleher, MSPA-A, CCC-A, who is the director of the program. “Rich knows our mission and values and wants to be a part of that. He really cares about his clients and goes the extra mile,” said Galleher. Galleher has been the Director of Audiology at Pine Tree Society for 16 years and she and Bothfeld have complimentary skills that will expand on the program’s mission. He is particularly glad to be working as a two-audiologist team with Galleher on diagnostic testing with pediatrics and knows that he will continue to hone his skills and be able to help more people through their collaborative efforts. Bothfeld says there are many reasons he wanted to work at Pine Tree Society. Bothfeld has been an audiologist for 19 years. Before that, he was a high school German teacher. It wasn’t long before he discovered his true love was audiology and approaching communication from a hearing standpoint became his passion.